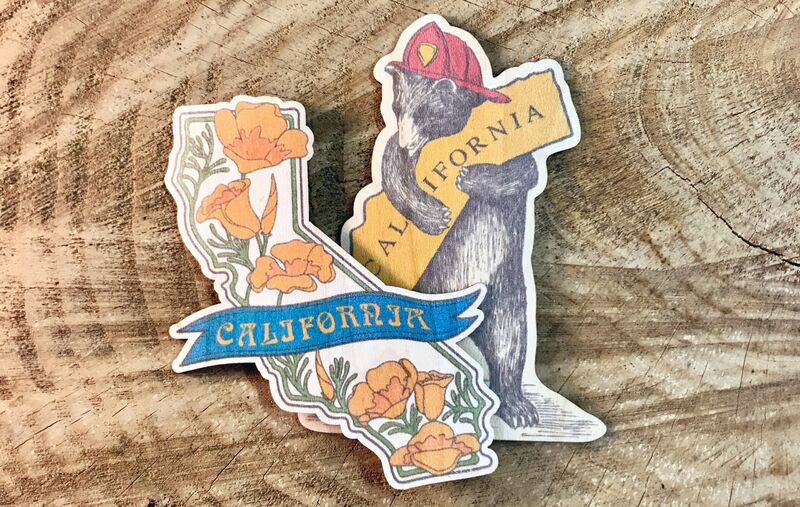 The bears, inspired by the 1913 sheet music cover of the state song "I Love You California", are unique to each region. They can be seen holding a variety of items including: a surfboard, a wine barrel, filming equipment, skis, mining equipment, a computer, a bike and much more! The main store, San Francisco Mercantile, is in the historic Haight Ashbury located at: 1698 Haight Street, SF CA 94117. While assortments vary by store, you can most definitely find these stickers at many of their locations. Find the full list of shops here! 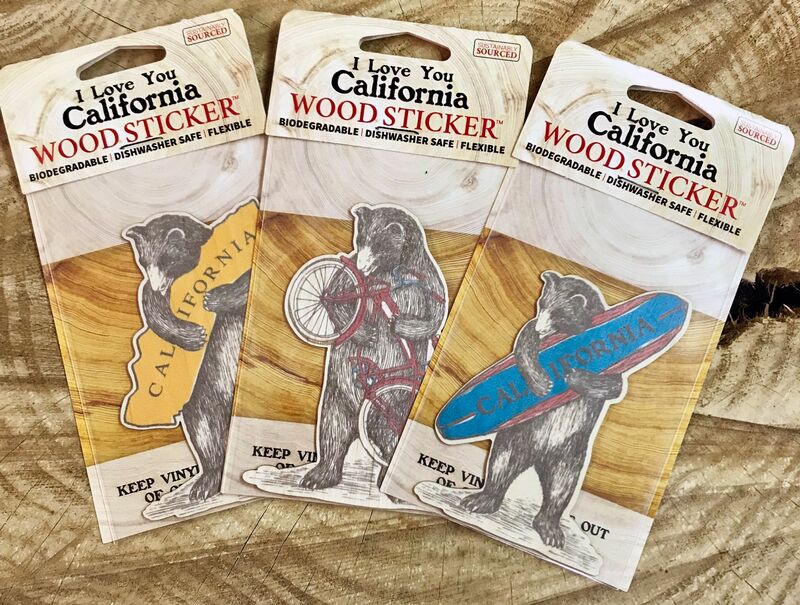 Be sure to look on SF Mercantile's website to collect any stickers or other products you missed on your California visit! The company was started by Robert Emmons who saw a niche in the market after working on a project to revamp a few shops. While trying to plan a new assortment it became clear that there was a very limited assortment available to retailers and a need for a better line of San Francisco mementos that are more trendy, updated and designed by local artists who know and love the city. They launched their line with 12 San Francisco themed items in the spring of 2009 and since then have grown their product assortment to around 150 designs including San Francisco, Wine Country, Sausalito, East Bay/Oakland, Coastal and General California. They also design and produce custom products for customers throughout the US and are currently working on a dozen new SF Mercantile designs that will be available later this year. Celebrating the diverse and vibrant culture that is uniquely Californian in their quality line of gifts and keepsakes. Collaborating and employing inspired local talent of bay area artists and designers. Community involvement through partnerships with local small businesses, manufacturers and non-profit organizations. Through it's partnerships with local non-profit organizations, SF Mercantile products have generated over a quarter of a million dollars in retail sales benefiting local organizations such as The Harvey Milk Civil Rights Academy, Human Rights Campaign, Matter of Trust and Under One Roof who's profits benefit localf HIV/AIDS service providers. Visit the SF Mercantile website to learn more about their company and products, don't forget to check out Dust City Wood Stickers available around California and their website.